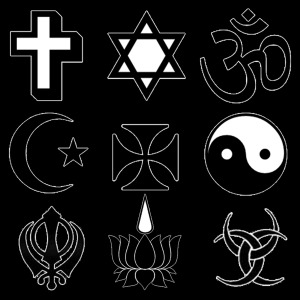 Our firm is often retained to represent parties in disputes regarding the control of religious institutions. Such disputes are usually governed by the New York Religious Corporation Law. The law governs all religious institutions, including the so-called “major” religions, Christianity, Judaism, Islam, and Hindu. Religious institutions in New York are generally formed as non-profit religious corporations. This provides tax-exempt status under state and federal law. A religious institution may encompass more than just a place of worship. Many religious institutions also run parochial schools, summer camp programs, pre-schools, and cemeteries. Although these programs may turn a profit over time, they are still considered as part of the religious institution and are considered non-profit and tax-exempt. In certain situations, disputes may arise over the legal control of such religious corporations. For example, our firm has handled cases in which a dissident group has challenged the Board of Trustees who were in control of the institution. Under the Religious Corporation Law, the Board of Trustees is generally manages the temporal (non-spiritual) business of the institution. This would include the hiring of employees, and business decisions relating to the Church, Synagogue, or Mosque in question. The Board of Trustees is usually elected by the congregation. However, the “devil” may be in the details. Disputes can arise over who is a member, and thus allowed to vote in any such elections. Congregants or members are usually defined under the law as those who are over 18 years old, and who worship regularly at the institution in question. Certain Churches may define congregants as those who receive communion regularly at the Church. If there are disputes, Courts may appoint an independent mediator to determine who is a member. Disputes relating to the hiring, paying, and dismissal of clergy are also fairly common. Whether the Board of Trustees has the power to hire or dismiss clergy may be limited by specific provisions of the Religious Corporation Law (“RCL”). This may also depend on the specific sect of the religion in question. If a Church is associated with a larger institution, then that larger institution may have the sole power to determine the status of individual clergy. Certain sections of the RCL also state that in certain situations, the salary of any clergy must be approved by a vote of the entire membership at a duly called meeting. In addition to the terms of the Religious Corporation Law, a religious institution may also enact corporate by-laws that govern their institution. Such by-laws may call for regular elections of a Board of Trustees, delineate the number of Trustees, as well as establish other rules and regulations regarding the governing of the Church (using the term “Church” generically). The by-laws may also provide for any disputes regarding the Church to be arbitrated, rather than heard in the Courts. A careful examination of the Church’s by-laws is necessary to determine the possible resolution of any disputes. Our firm has been called upon to handle many disputes regarding religious institutions. In one case, a group of dissident members challenged the validity of the Trustees’ election, and, therefore, their authority to run the business of the Church. In such situations, the parties may agree to hold a new election which can be supervised by an independent moderator. As attorneys, our firm reviewed the relevant statutory authority as well as the Church by-laws to ensure that the new election would be valid and not be subject to further legal challenge. In another case, members of a Board of Trustees continued in power, even though their terms had long expired as per the Church’s by-laws. After we commenced litigation, the Court ordered that an election for new Trustees be held forthwith, which our firm monitored to ensure that the process was fair to all parties. There are many disputes which can arise regarding the management of a religious institution. A thorough knowledge of the Religious Corporation Law is necessary to litigate and resolve such disputes. Weiss & Weiss welcomes all inquiries from congregants, officers, as well as clergy such as Pastors, Ministers, Rabbis and Cantors, relating to their legal rights in this highly specialized area of the law.